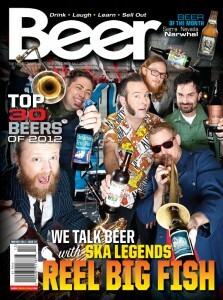 Another year and another Beer Magazine. This is no ordinary magazine, it’s a magazine about the most amazing product in the world. This is the first issue of 2013 and it’s not the same. 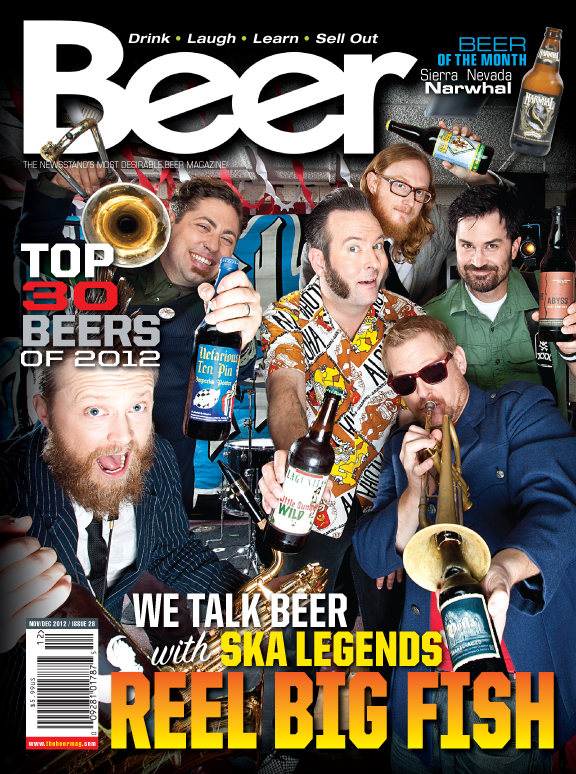 We’ve got six guys on the cover, all who are in a band called Reel Big Fish. We sat, drank and tried to play their instruments with them and talk about something they love too…beer. See how beer is involved with every part of life? It’s time to subscribe and never miss an important moment in Beer. NOW JUST $2.99 each digital edition! Save money. Get it now. Buy multiple back issues with one check out! Buy Back Issue, or Subscribe and get back issues at the same time! Style Anatomy – What are these Lambics you speak of? Beer Kitchen – Coq au biere! Sierra Nevada Brux – How they inseminate your beer?